Quality at a value price for mid-large gardens. The LM51SP self propelled lawnmower features a quality steel deck and is designed for use in medium to larger gardens. It has a 51cm/20" width of cut and a single lever height of cut adjustment with heights from 27-90mm. The Gardencare 3-in-1 Cutting System gives you the choice of grass collection, rear discharge or a fantastic mulched finish. Mulch, Collect, or Side Discharge? 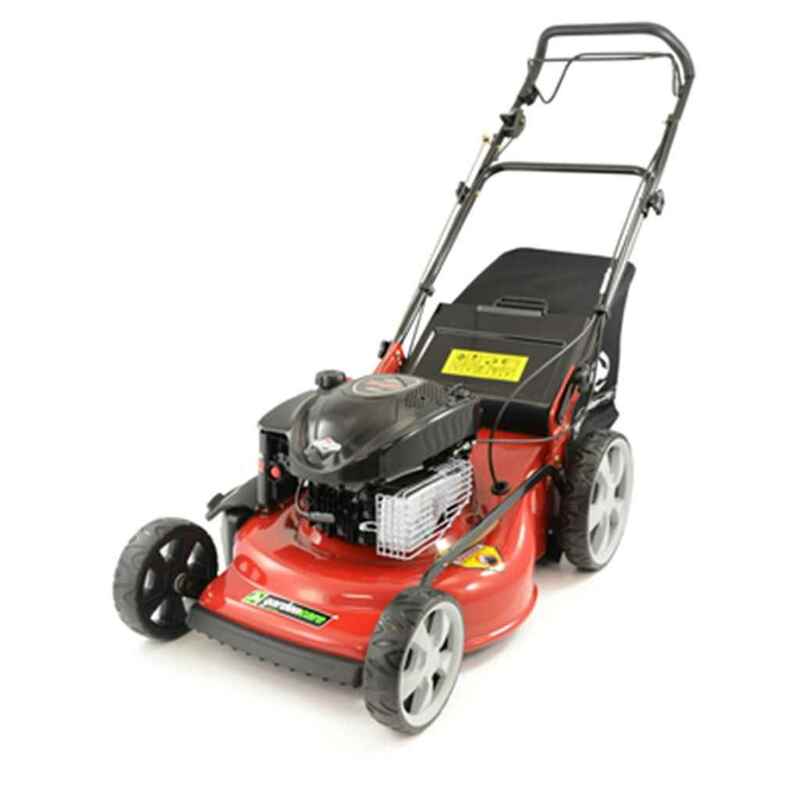 The Gardencare LM51SP is capable of three different cutting styles to suit your needs. Cut and mulch grass clippings, mow in the normal way by collecting the grass, or side discharge. Want a powerful B&S Engine? This machine features a B&S 625 Series 190cc Engine. For over 100 years Briggs & Stratton have manufactured engines that are durable, easy to use and to maintain. Single Lever Height Adjustment? If you want to be able to change your cutting height with the minimum of effort, this model features a single lever height of cut adjustment with heights from 27-90mm. Typical delivery is 2 working days (please refer to each product for an estimated delivery date, please note this is not a confirmed date).